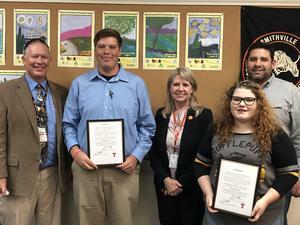 Savannah Pease and Brandon Lippers, both twelfth graders, have been selected as outstanding students for the second six-weeks at Smithville High School. Savannah is the daughter of Evelyn Pease and Brandon is the son of Douglas Lippert and Kevin and Jennifer Berry. 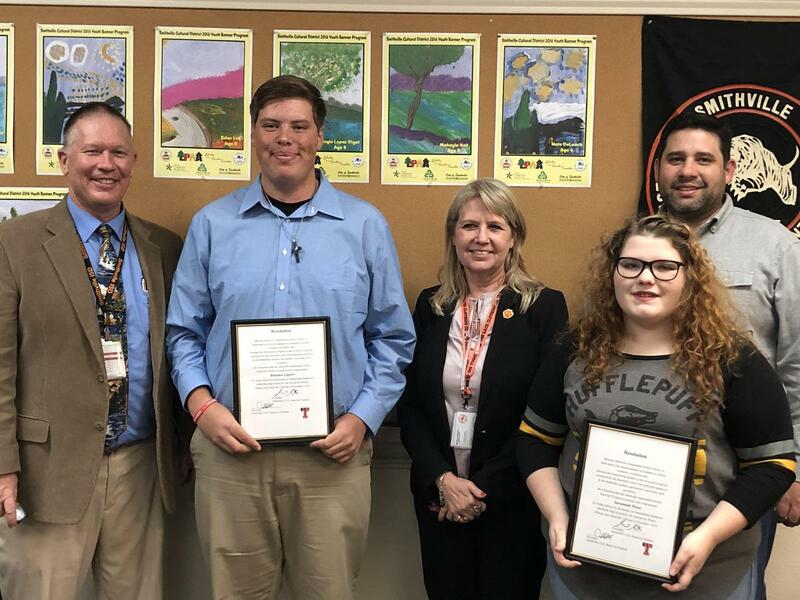 Brandon and Savannah are pictured with High School Principal Paul Smith, Superintendent Cheryl Burns, and Board President Grant Gutierrez. Each six-weeks, the high school faculty select an outstanding student from their respective campus. Students are rated on a scale of 1 to 10 on such criteria as grades, honesty, enthusiasm, cooperation with teachers and their peers, class participation and leadership. Our congratulations to all of these students!